It wasn't long after GLOCK's acceptance by American shooters that the need for a smaller model geared towards concealed carriers was identified. 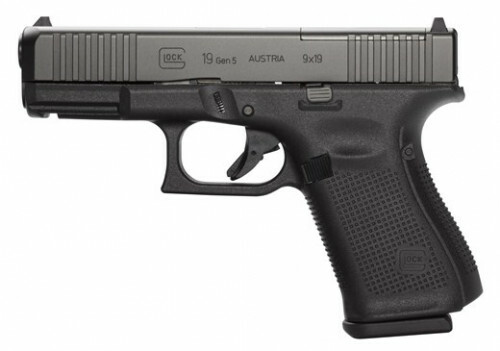 To produce a handgun that was the right size to appeal to shooters that plan on hiding it in plain sight, GLOCK redesigned the popular GLOCK 19 into a totally new pistol dubbed the GLOCK 26. With a redesigned locking block, reworked frame and an all new dual recoil spring, the GLOCK 26, also known as the "baby GLOCK" was a fresh take on the now proven design. 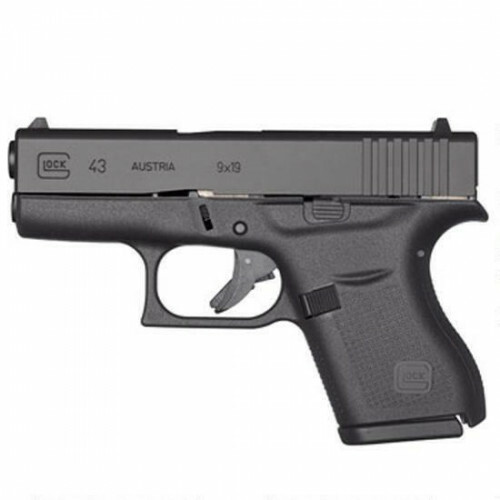 The Gen 3 GLOCK 26 chambered in 9mm is another evolution of the groundbreaking design with forward-thinking features that bring the pistol into the 21st century. New finger grooves and an updated texture on the grip ensure that you have a firm grasp even if your hands are muddy or worse yet, bloody. 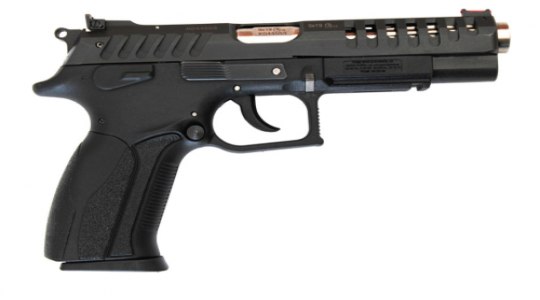 GLOCK even added a new cross pin to the pistol to better handle the stout recoil from +p and +p+ loads giving the pistol an even longer service life. Shooters all over the world turn to the Glock 26 for it's robust, reliable design that continues to perform in even the most demanding of environments. 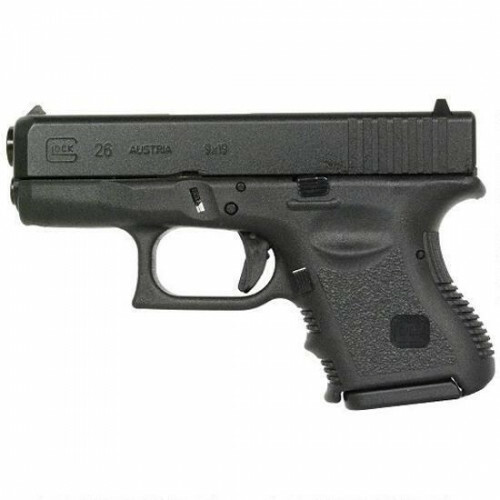 With a large 10 round capacity magazine for the form factor, the GLOCK 26 is a perfect choice for police officer's looking for a backup gun, off duty and plain clothes work and concealed carriers.